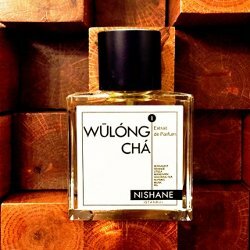 Turkish niche brand Nishane debuted earlier this year with 20 unisex fragrances (16 in Extrait and 4 in Cologne). As you can appreciate that it has been quite challenging to create a fragrance collection to truly represent the spirit of ISTANBUL, which meant a preparation period exceeding three years. The accords used in the scents have been deliberately selected to reflect what Istanbul suggests as a bridge between cultures. As one of the most important centers of the Silk Road and one of the oldest cities of the world, the collection had no choice but to embrace all these accords as a tribute to the most liked scents of humanity. Therefore, NISHANE perfumers felt obliged to include all these 16 scents to be able to represent Istanbul’s true spirit. A selection of 8 fragrances from the collection can be found now at Indiescents, $175 - $230 for 50 ml Extrait de Parfum. I like the idea of capturing Istanbul in scent (and I was sad Traversée du Bosphore didn’t really work for me), but 20 fragrances all at once? That seems so overwhelming that I’ll probably end up trying none of them. My sentiments to a T.
Judging the descriptions, quite curious that what ‘represent Istanbul’s true spirit’ is the same combination of notes explored by other brands.